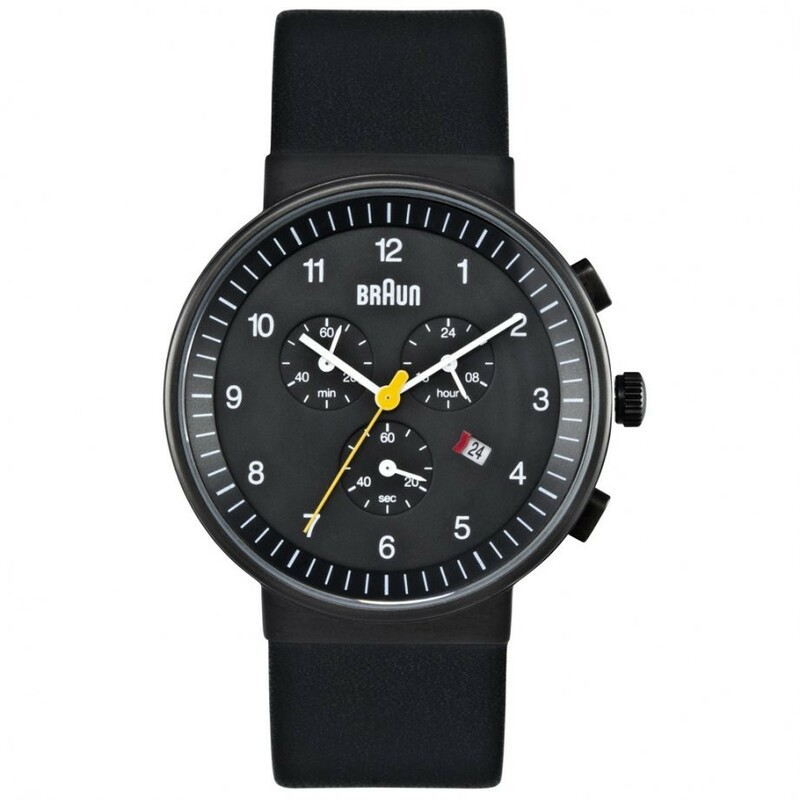 Braun Watch Black Leather BN0035BKBKG. This Braun watch is part of the men’s Braun Time Collection. 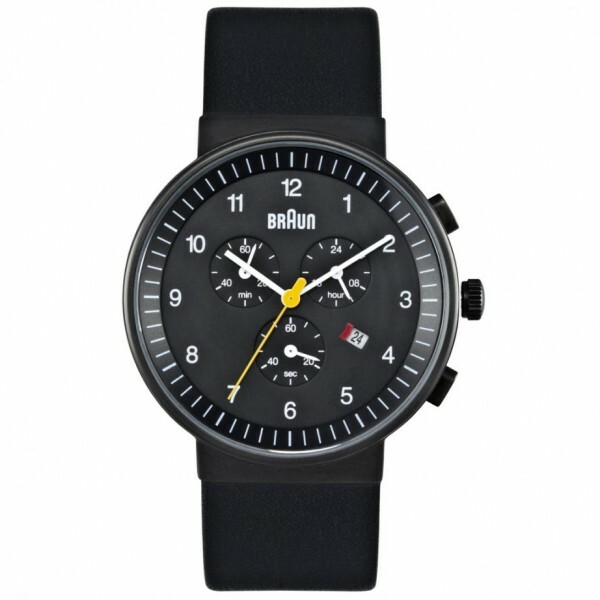 The Braun BN0035BKBKG watch features a luxurious black leather strap, which is very comfortable and light on the wrist. Other features include chronograph display, date feature, three-hand quartz movement, matt stainless steel case with screw on case back, 5 ATM water resistance and scratch resistant mineral glass. 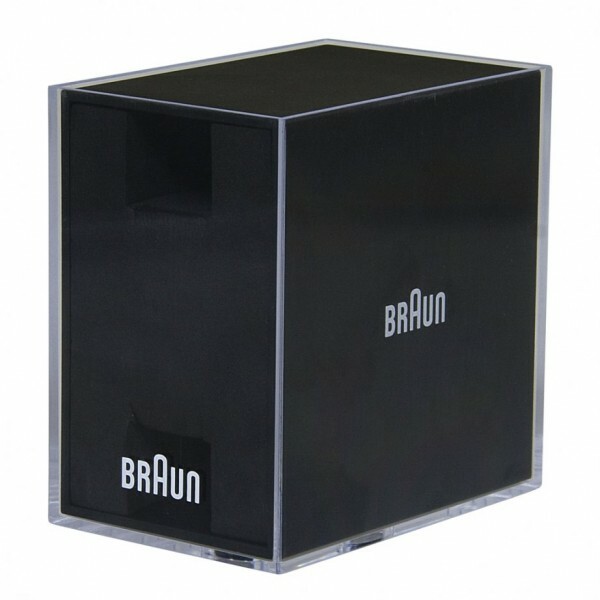 Braun is a recognised worldwide design and manufacturing brand. You are likely to have seen Braun grooming products, household appliances and now Braun Watches are being added to the Braun collection. Braun Watches are designed to provide you with a quality and minimalist solution for all your needs. Simplicity and functionality are fundamental to the Braun philosophy and this is no different with the Braun Watches. Braun Watches are simple, modern and have a slight retro feel which is making them a must have with all those watch lovers. Some Braun Watches were designed way back in 1970's by Dieter Rams and Dietrich Lubs. This new collection of Braun Watches includes many of these original models which have been slightly updated to be in keeping with modern timepieces but still maintaining that retro feel. All Braun Watches are designed and built to the highest quality so you can expect nothing but the best from your Braun Watch.